What does ready look like? When there are no guarantees for tomorrow. What does ready look like when there are no guarantees for tomorrow? Too often as I speak to people I get the sense of hesitation or even the flat out admission that when they are ready, they will do __________. But lets be honest, as I stand here and look directly in the mirror, what does ready look like to me? What I have found within this introspective discussion with my self and a dear friend whom I meet with on an almost weekly basis is that how can one ever truly be ready when they have no idea what the now looks and/or feels like? In a life where the battlefield is now, how does one maintain a clear view of the now? Between seeking to out run your past and/or manipulating the future, when does anyone ever have time for the now and to further my point, when does anyone therefore, ever have time to be ready? If one seeks to launch into implementation from a posture of readiness, one would be best served in doing so with with solid footing. Certainly finding oneself in a ping pong match between yesterday and tomorrow, how does one ever have the footing to win the moment? And yet here I stand in life wondering… what does ready look like? When will I know when I am ready? In asking these questions, do you want to know what the real irony is? What does ready look like when there are no guarantees for tomorrow? Matter of fact, the only guarantee in this life was guess what? That last breath you took. So, how must we now seek to dwell? Life is built on a stack of moments. When built up, how will they stand? Will they stand? Will they fall? Will they lean to the left or to the right? And, what happens when they fall (and they will) will they rebuild stronger than ever? 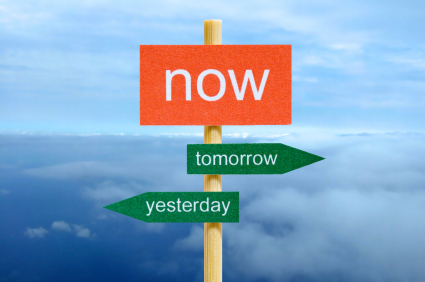 It is my belief that the key to being ready is found in one’s ability to win the now. To win the moment and to be fully present in the moment. Certainly, we should all set goals, but these goals will never be fully realized unless we gave each goal each moment we face. That being said, when one is pulled towards regret from their past to fear of their future, I question the even sound validity of that which was established as a goal in the first place. So, how does one win this battle? If the battlefield is the now, we must put to rest the two opposing forces… the past and the future. We must let go of the baggage we carry that we were never meant to carry. In this, we must also own that which we have allowed this baggage to cause us to then become which is that which were never meant to be. This means owning our actions and the wake that ensued. In letting go of the past and letting go of the things we were never meant to carry, it is amazing how that holds the power to how we view our future. Put to rest your past and one’s future will seem like a breath of fresh air. What does this look like? Well, it’s up to you. This could mean forgiving and/or being forgiven. Quite frankly, doesn’t it always? Do you want to be ready? Make a your moments make a difference by putting to rest both your past and your future. This will maximize your now, increase your chance for success in the future, as well as give you a sense of more clear objectives of that future. Why? Because the posture of living is a lot different than the posture of surviving. What does ready look like? Are you ready? Who know’s what that next breath will hold… or if it will even come. Life is built on a stack of moments… win them back and turn your readiness into action, now. Be free and soar. Your time has come.